Welcome to the New York Investment Network. 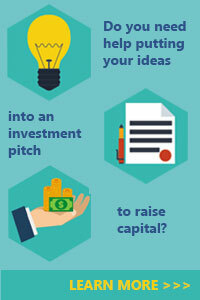 We connect entrepreneurs looking for funding with investors looking for profitable business opportunities. There are no fees to join so register today as an entrepreneur or investor and become a part of the New York Investment Network community. Find an investor for your business with our online service which connects you directly with angel investors, venture capitalists and business funds. You can either submit your proposal for free and pay after contact is made, or pay immediately to receive all the benefits of our premium services. 33 year old married man, owner of a construction company, cleaning company and supply company, with degree in IT, willing to invest in right inventor and the idea. Investor for the past five years. Currently an investor, consultant and advisor. Private investor willing to invest as a group with other like- minded individuals. I have a sales background of over 5 years with computer hardware and software. I am a geek at heart so I am up to date on everything relating to gadgets and technology. I'm very big on social media and what the next big thing is going to be. I'm also a wanna be scientist and I love reading up on new information pertaining to the universe and everything it contains. I've acquired a sum of money from the unfortunate passing of my father and I would like to invest it, well, so I can have more. For the last month I've been doing research on how to invest in different kinds of markets. I would very much like to be an Angel Investor for an up and coming start-up or idea and I feel that I can provide some helpful advice. Investment banking and finance experience. Our Group is a private, international investment group, focusing primarily on health care, energy resources and technology.We look for large projects as well as for the small and medium size ones. Although we target existing companies in need of additional investment and/or financing, the businesses in the start-up or early stage are welcome.Thanks to our international network, we a able to help company,that does not want finance but just find the right partner in the other side of the world to start a new market. We are focused on providing you with unique funding options for your business or idea. To succeed in business, you need a plan. Let us help you realize a 3, 5, 7, or 10 year plan for your Business. Whether its Debt load management , Credit rebuilding, Equity management, Purchase or just a lower interest rate, we can help you. I am a private lender located here in Verona, New Jersey, We are dedicated to helping you gain financial freedom to permit you to achieve your financial goals without the extra burden that comes along with high rate debt and hard money loans, we are reputable lenders and certified. We are equipped with the necessary resources to attain one common objective, provide you the required loan at just 5% interest rate, we are currently approving and funding.Thanks for your understanding though I await your prompt response so as to get started with your loan fund transaction.